Rejoice everyone! Salt and Sanctuary is making it over to the Nintendo Switch! Haven't played? This'll be a good chance. Haven't heard of it? Check out our review for the PS4 and the announcement trailer below! SEATTLE, Wash. – JULY 25, 2018 – Salt and Sanctuary, Ska Studios' brutal hand-drawn 2D Soulslike platformer with over 800,000 downloads, comes to Nintendo Switch August 2 with the help of porting specialist BlitWorks. While sailing across a stormy sea to transport a princess and strike a truce between rival kingdoms, a calamitous encounter with a sinister abomination wrecks the player's ship. Upon drifting onto the shore, the journey to broker peace dissolves into a struggle for survival on a treacherous island rife with undead. Whether braving this alone or with a friend via local co-op, the customizable hero, known as the Saltborn, can only persevere by navigating this grim, forgotten bastion. Pressing on and cleaving through anyone or anything that rears its malformed head is the only way forward. Hidden platforming abilities including air-dashing and wall-jumping help the Saltborn find and eradicate more than twenty horrifying bosses all drawn in Ska Studios' stylized signature art style. Battles play out in a tough-but-fair fashion. Every swing of the sword drains stamina, so calculated attacks often win out over desperate flails. Magic wielders have their own tribulations: all of the games' spells align with either Fire or Sky elements and casting too much of one causes an imbalance that damages the Saltborn. Holy Prayers don't have an element but offer defensive boosts. Each harrowing skirmish rewards patience. "The two of us wanted to create a Soulslike game that we wanted to play, and finding that so many others who wanted it too warmed our dark little hearts," said Michelle and James Silva, co-creators at Ska Studios. 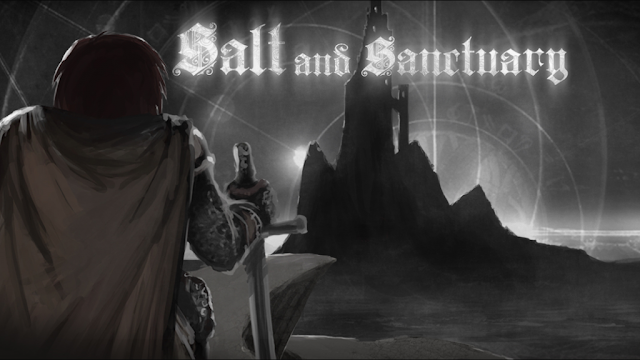 "Bringing Salt and Sanctuary to the Nintendo Switch means more people who like dismal, satisfying games can play our very dismal, satisfying game." To learn more, please visit the game's official site, or follow Ska Studios on Twitter and Facebook.